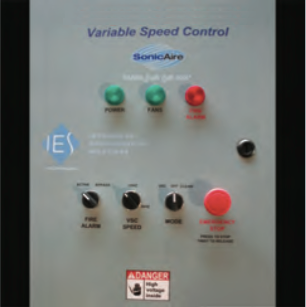 The variable speed control (VSC) option allows the SonicAire fans to either clean or cool. Change the speed of the fan to suit your needs - lower speeds to provide good air circulation for employees. Run fans at full speed for cleaning.